I am a plant ecologist interested in how human actions—like the movement of nonnative species around the globe—affects ecological communities. My primary aims in research are to build a better theoretical understanding of how invasion by plant species alters communities and ecosystems and to apply this knowledge to promote the stewardship of our environment. I am particularly interested in learning more about how nonnative species interact with one another and how ecological communities change as they increase in the level of invasion by nonnative plants. I joined the faculty at the University of Pittsburgh in 2018. Prior to moving to Pitt, I was a Postdoctoral Associate at the Yale School of Forestry & Environmental Studies with research funding through the Yale Institute for Biospheric Studies and the Smith Conservation Fellows Program. I received my PhD from the Department of Ecology and Evolutionary Biology at the University of Tennessee and my BS from the Department of Entomology & Wildlife Conservation at the University of Delaware. Rachel is a first year graduate student whose research interests include plant community ecology and restoration ecology. As an undergraduate at the College of William and Mary, she studied biogeographic variation in common milkweed (Asclepias syriaca) as well as plant-fungal interactions in eastern deciduous forest. She is now exploring how differences in native and nonnative plant phenology effect plant competitive interactions. Leland completed his M.S. in Biology in 2018 as a member of the Schultz Conservation Biology lab at Washington State University. His thesis work focused on evaluating the effects of treatments for invasive species in the habitat of the endangered Fender's blue butterfly. More specifically, he evaluated how the target and non-target effects of taxa-specific herbicide application altered the availability of critical resources for Fender's blue and whether these changes in habitat could result in a net gain for the population. Leland loves exploring the backcountry, traveling the back roads and trying new things. 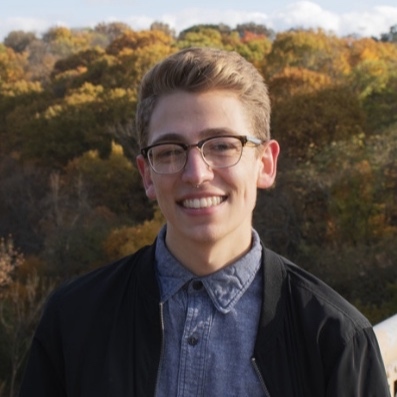 Alex is a rising junior and Environmental Science major at the University of Pittsburgh interested in environmental policy and conservation. This summer he will embark on a research project focused on quantifying the efficacy of invasive plant listing processes by various state agencies and non-profit organization. This work is funded by the Honor’s College’s Brackenridge Fellowship. Traci is a rising sophomore interested in ecology and conservation biology. She’ll be partnering with graduate student Rachel Reeb this summer to explore differences in phenology and competitive interactions between native and nonnative plant species. Isabel is an undergraduate research intern from Brown University who spent the Summer 2018 exploring how the phenology of native and nonnative old-field plants respond to warming temperatures. She is currently collaborating with the botanical curators at the Carnegie Museum of Natural History to use herbarium records to trace historical changes in phenological events and setting up a growth chamber experiment to test how warming and the presence of soil microbes influences growth and phenology. We hope Isabel decides to come back to the lab again someday soon!